In the last few decades, the web revolution has been taking over every aspect of our life. From ordering groceries to everyday banking to getting our daily news – there is hardly anything which is untouched by the latest web technologies. In this day and age – every business large or small needs to have a web presence and tell the world about themselves. Even individuals want to express themselves by using an online medium like blogs or personal websites. Ability to build and run these sites has become an essential skill. Of course, we can hire a designer and web developer and pay them top dollar to build our site? Even if can afford them – what happens if we need to make inevitable changes to it or refresh the look? Does this necessarily need to become a lifelong expense? NO! modern content management systems make it very easy for anyone with little to no knowledge about technology to build, run and maintain a very attractive and functional website. 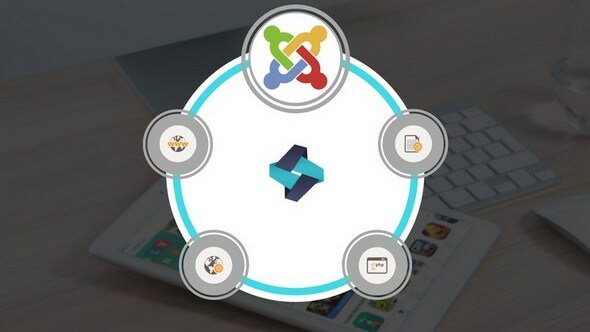 One such CMS is Joomla – it is open source and completely free. And what is more – it is very mature and widely used to build thousands of web properties on the internet. As such learning Joomla CMS will also give you added skills which are very valuable in the job market. The median income of a web developer in the US is around $73000 per year. Those are only a few of the reasons why you must enroll in this course and take your career to the next level.